Nighttime March rain affords the key impetus for yellow spotted salamanaders (Ambystoma maculatum) to venture from woodlands to wetlands for their annual mating aggregation known as a congress. Thursday evening brought torrential downpours with mild 50 degree temperature. The Turtle Journal team piled into the all-wheel-drive vehicle and patrolled flooded SouthCoast streets, spending the night scooping up slithering salamanders from dark, wet and busy roadways. 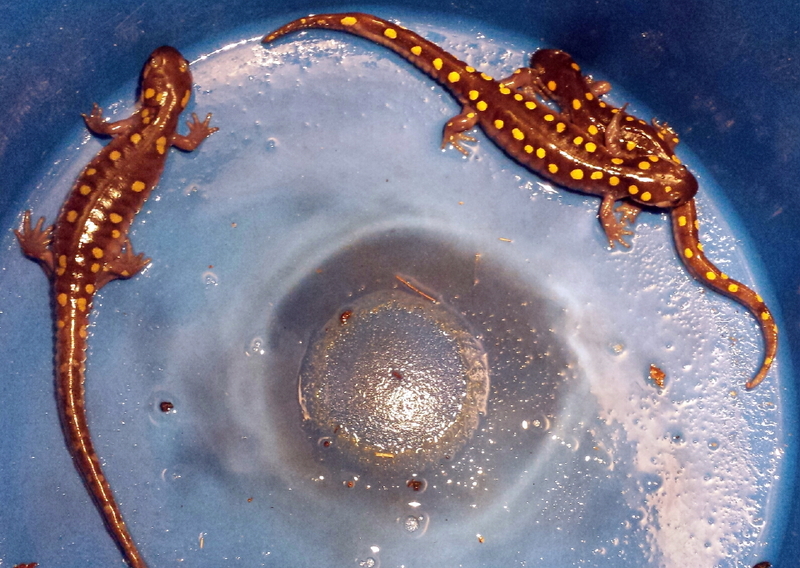 Before releasing a sampling of these salamanders, we gathered sciientific data and examined them thoroughly. Specimens ranged from as light as 16 grams to as heavy as 28 grams. 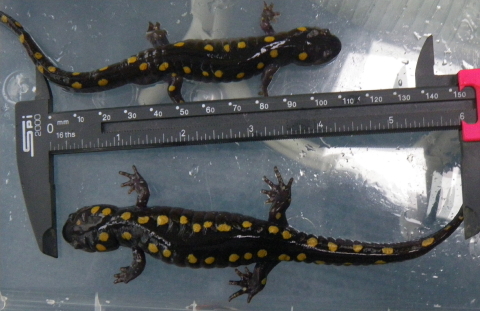 The smallest salamander measured a little more than 15 centimeters from snout to tip of tail. The largest specimen stretched nearly 18 centimeters. 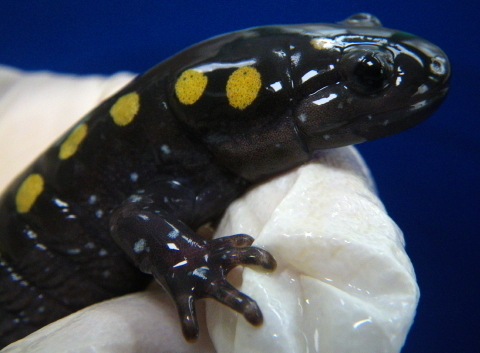 We examine each salamander in detail. 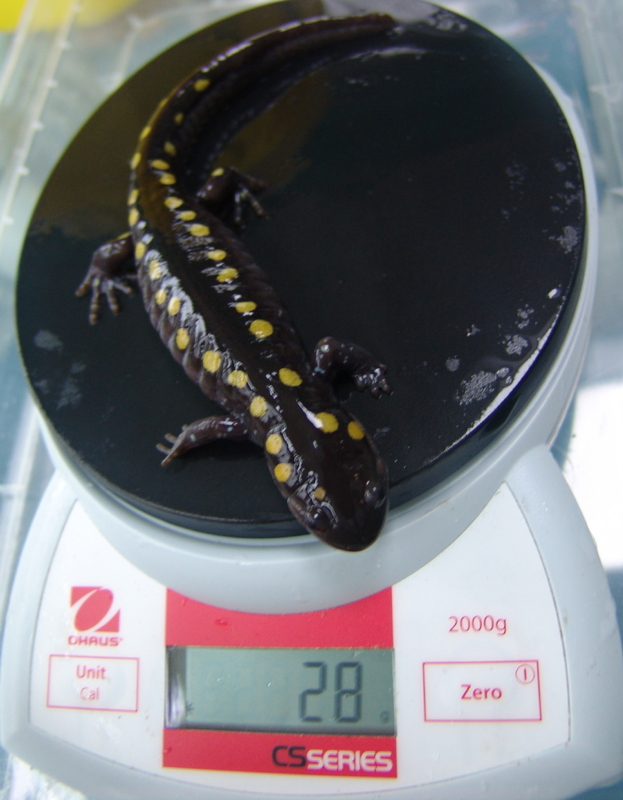 No matter weight or size, each salamander seems packed with energy and filled with determined resolution to reach congress. 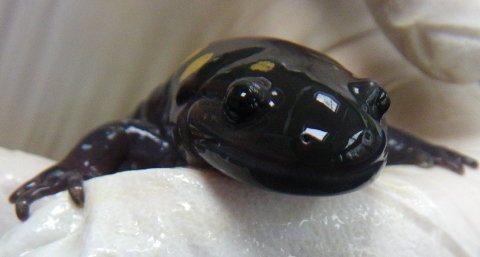 My goodness, with a smile like the one pictured immediately above, Turtle Journal might even consider voting him into office. 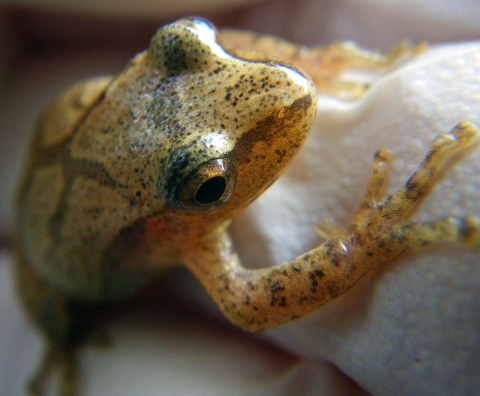 Nothing in Nature says springtime in the Great White North more than a chorus of spring peepers. 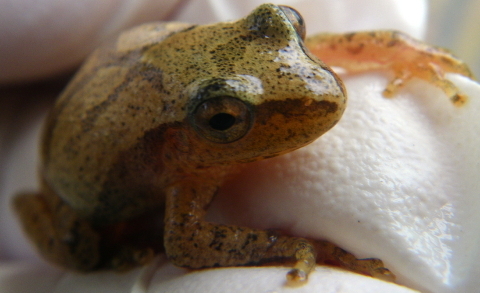 Even with ice still clinging to the edges of pond, creeks and bogs, the gradual warmth of late March spurs these tiny critters to combine their voices into a symphony of hope … punctuated by the gutteral tones of a section of throaty wood frogs. 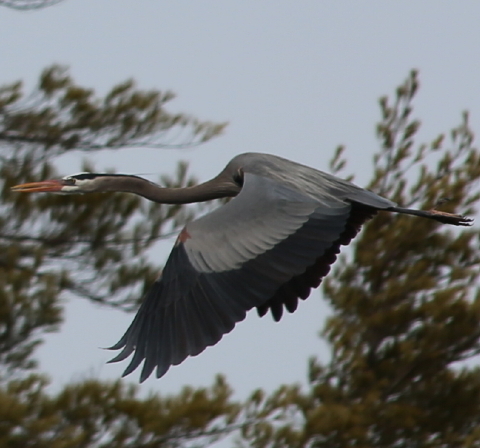 Last evening, March 28th, gentle rains blew into the SouthCoast of Massacusetts with a warming breeze. 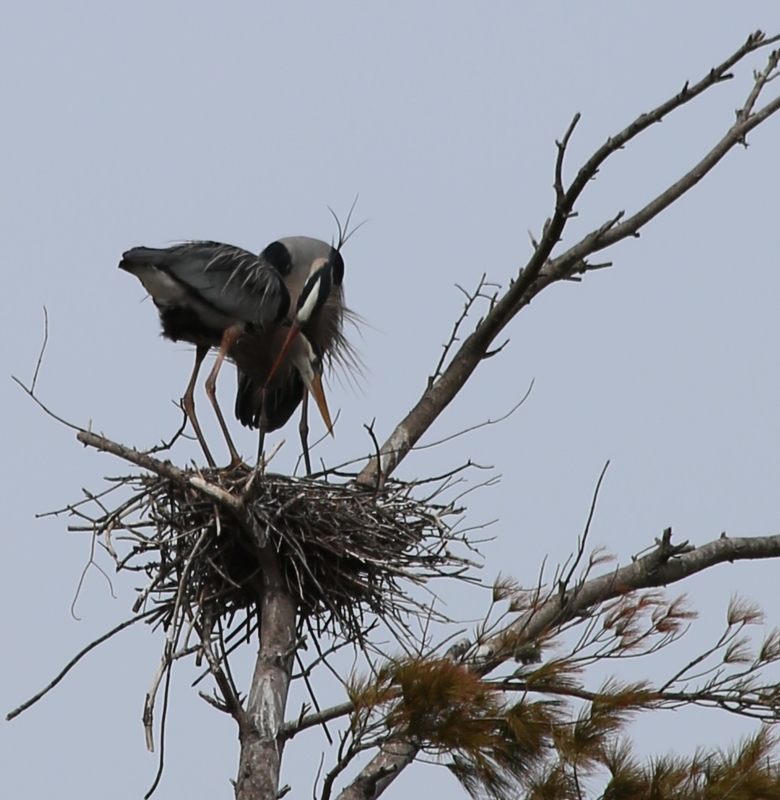 The Turtle Journal team waited until dark, then trekked over to an abandoned bog to savor the concert. 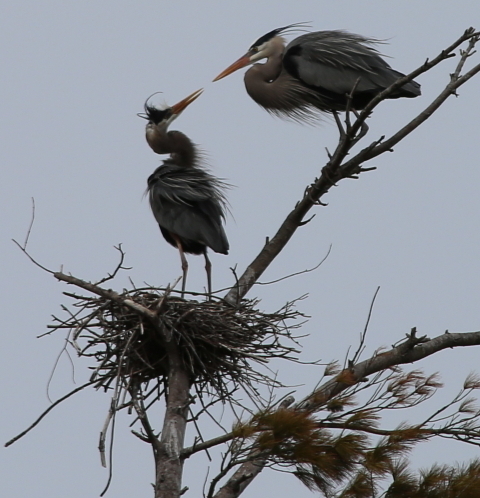 IF YOU HAVE AN iPAD & CAN’T SEE VIDEO; CLICK HERE. 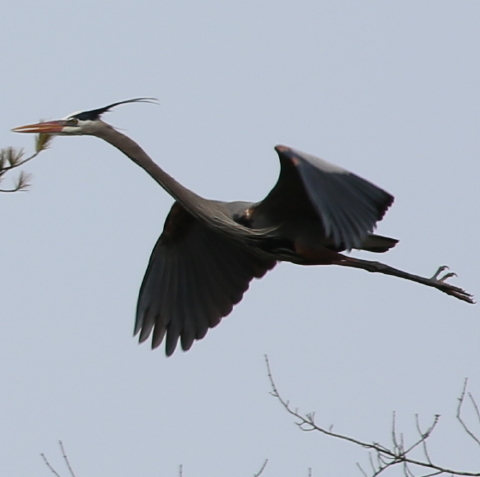 Alas, spring has arrived and irrepressible Nature has gained ascendency. 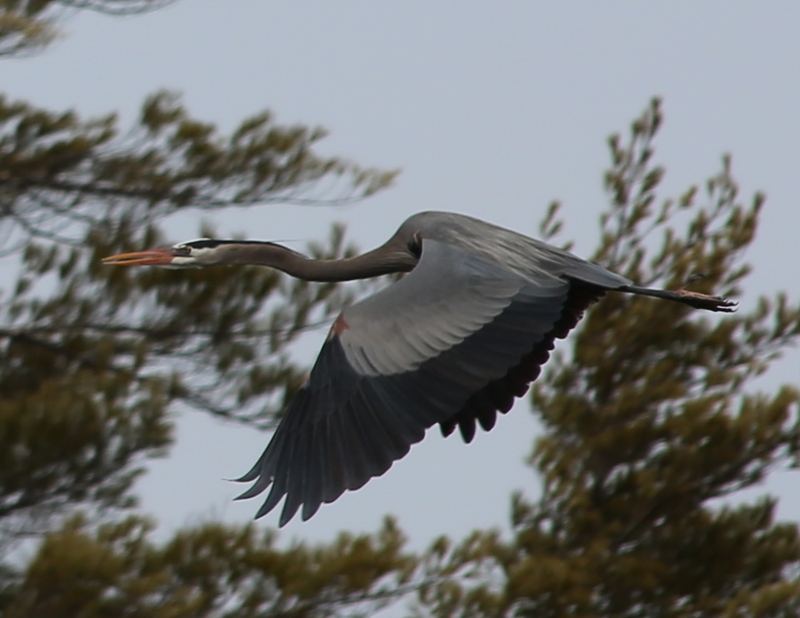 Great Blue Herons swoop through the air with blitheful grace, so unexpected for such a large and seemingly awkward creature. 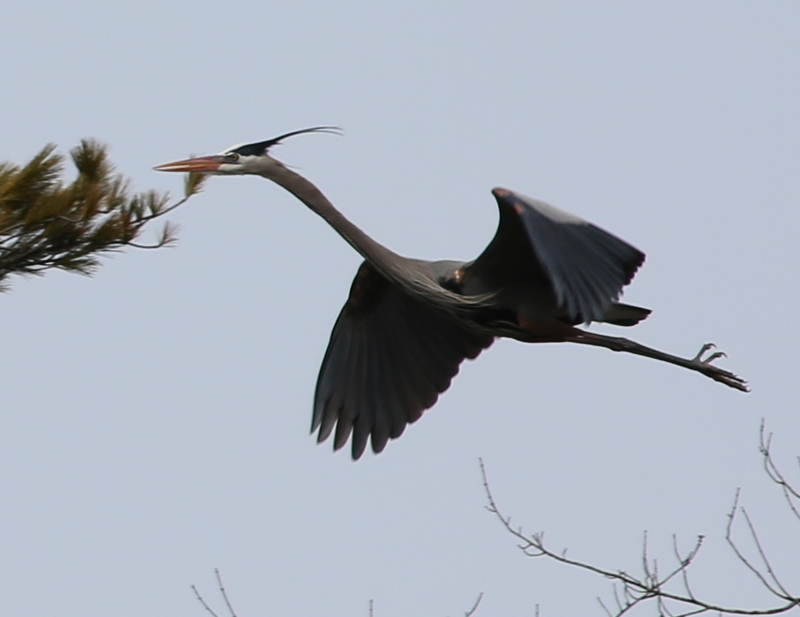 Yet, if aerial ballets amaze, their Geisha-like courtship movements atop the trees precariously balanced on teetering twigs stuns the senses. In this early stage of seasonal courtship as pairs return to the rookery and before preparing the nest for this year’s chicks, ritual behavior ensues each time the male returns to the aerie. Loving tenderness is expressed in elegant poses so gentle, so sweet and so dramatically effective. 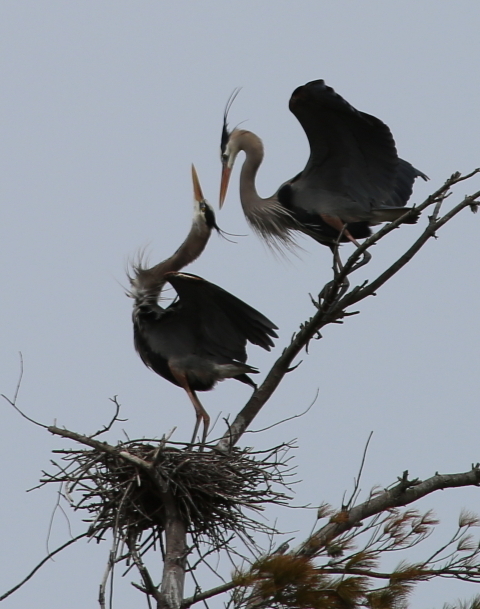 When the greeting ritual ends, the mating pair begins a grooming phase with the same loving tenderness as demonstrated below. With the courting ritual temporarily behind them, they can refocus on preparing the nest for eggs, incubation and chicks. The next two months will be a busy time for this pair. Yet, even in the busy-ness of nest preparation, there’s always time for a gentle peck to reinforce the couple’s bond. 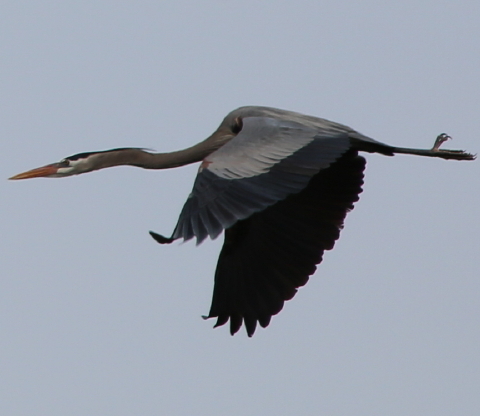 Great Blue Herons in flight resemble nothing so much as the reincarnation of ancient pterodactyls. 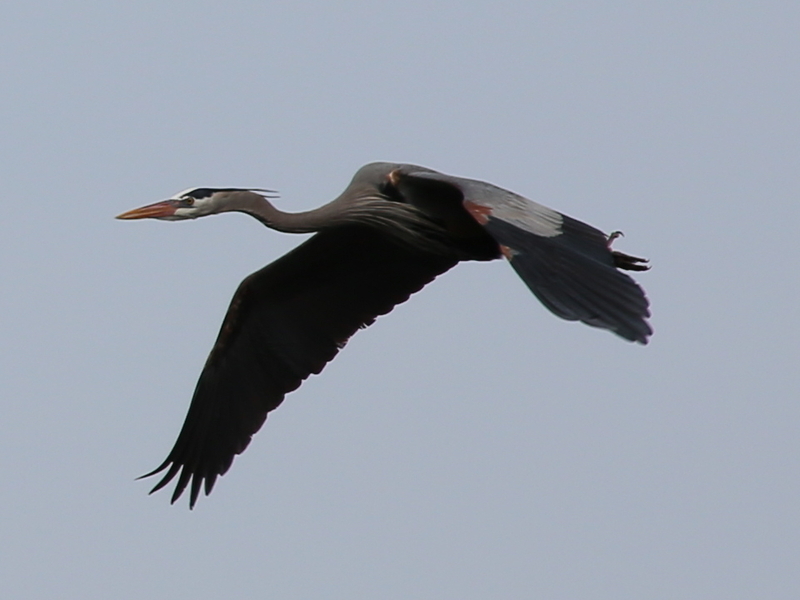 They are magnificent creatures that cruise through the sky with lumbering grace. 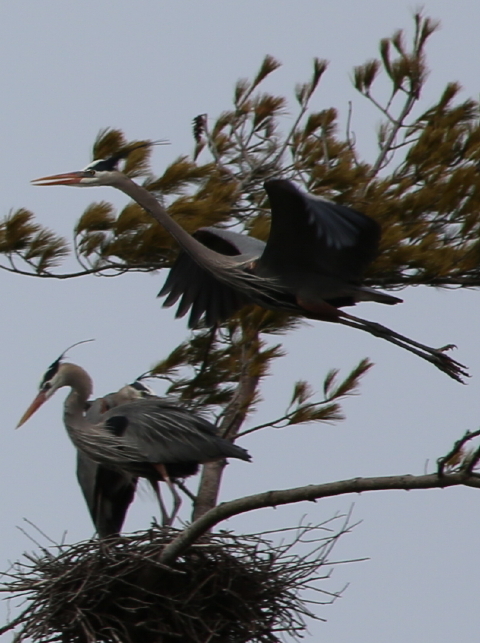 Their raucous squawks and “kronks” add depth and breadth to the simulation of prehistoric mystery. 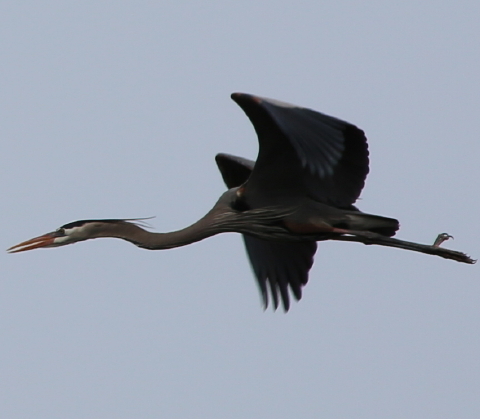 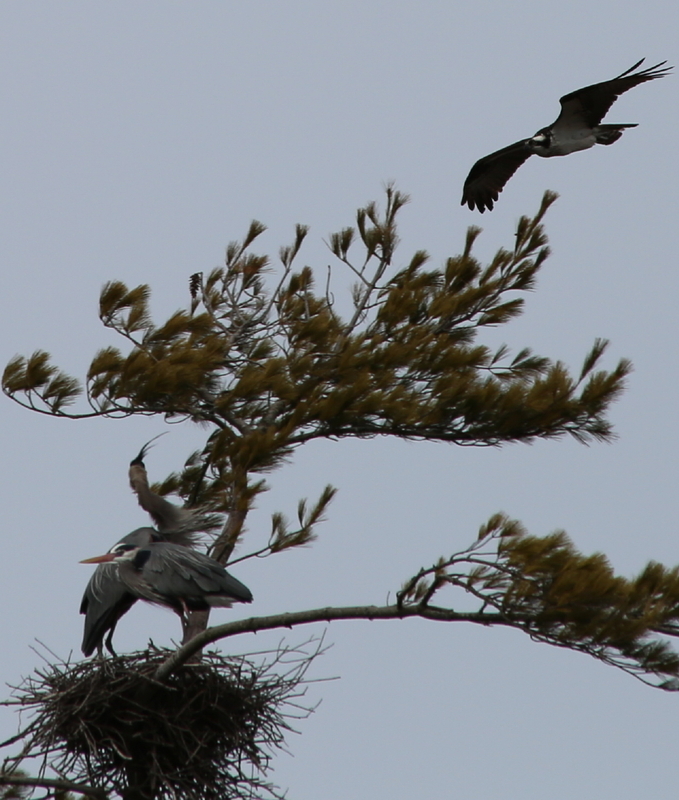 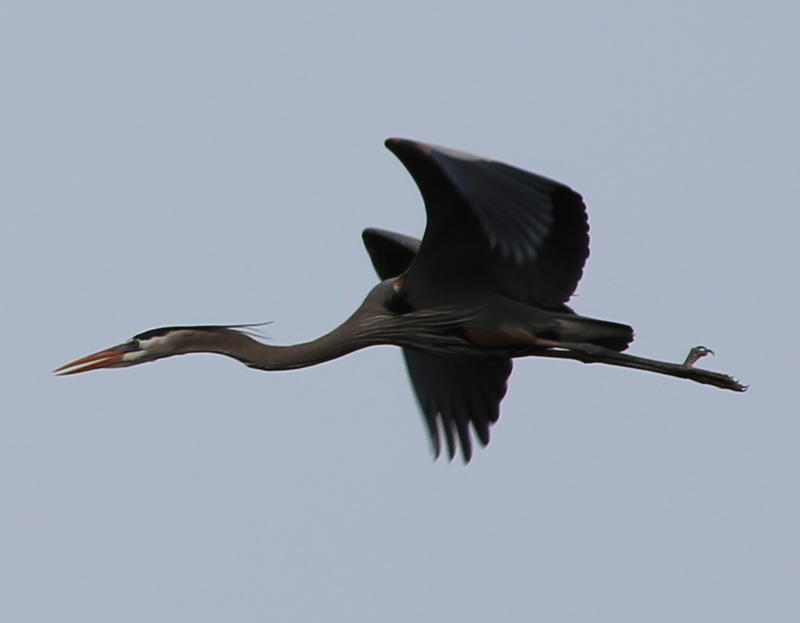 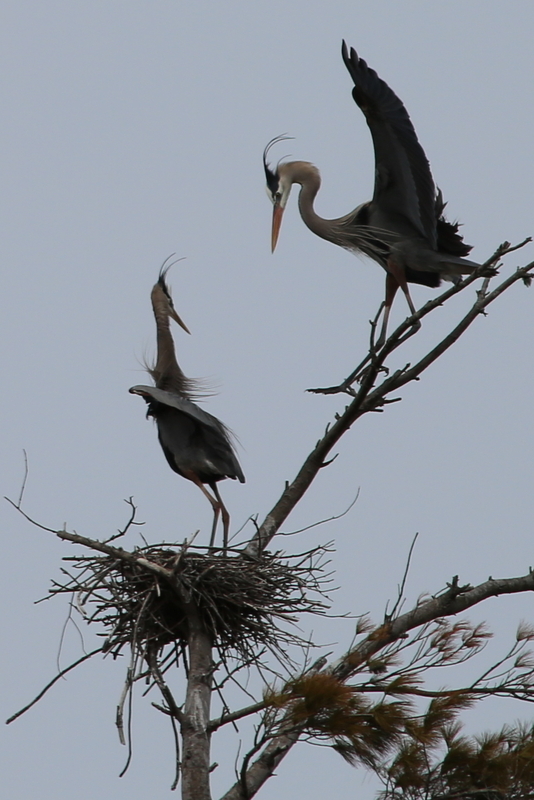 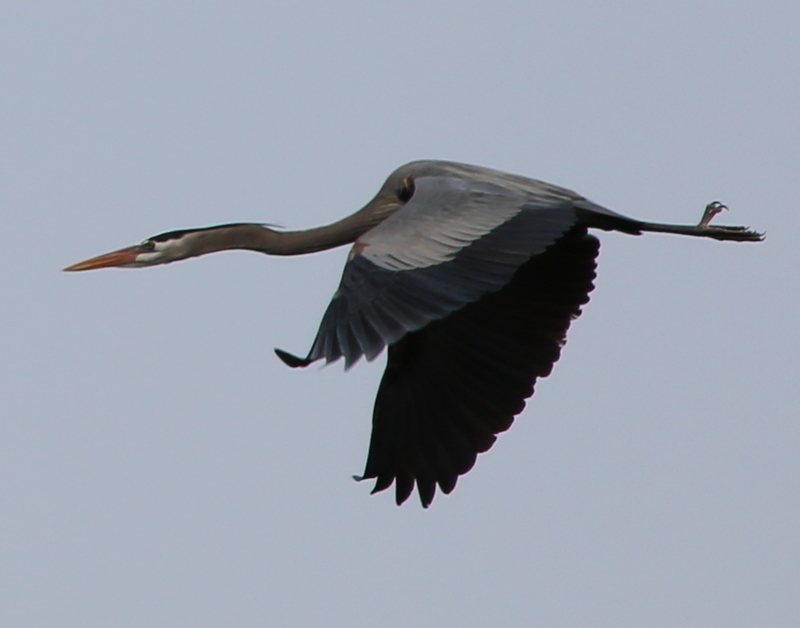 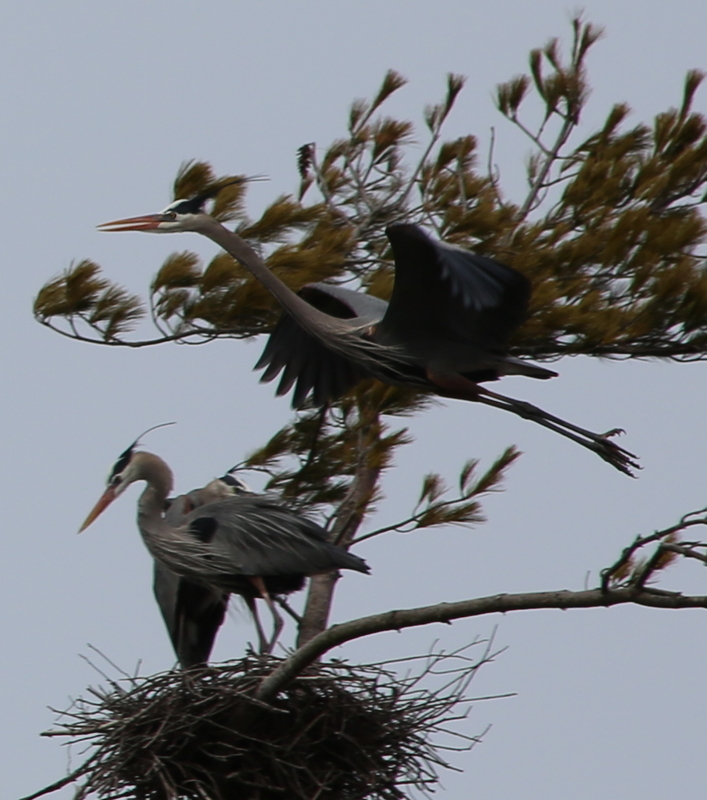 Turtle Journal offers the following montage of Great Blue Herons in flight for your pure enjoyment. 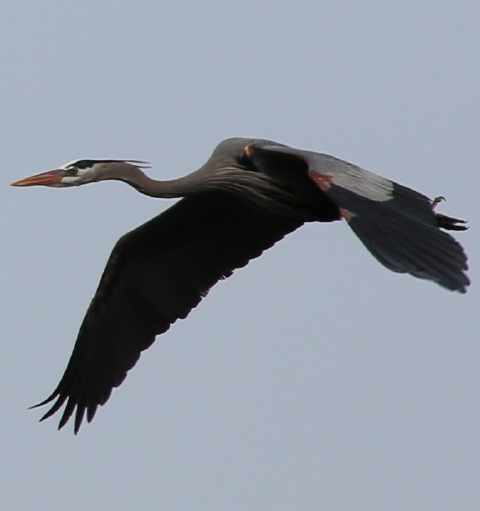 Each image can be enlarged by clicking. 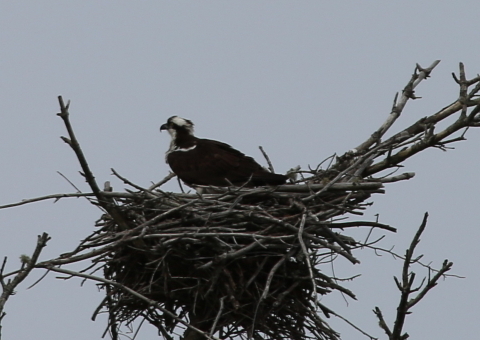 The first osprey (Pandion haliaetus) arrived at the SouthCoast rookery in Marion on March 23rd. 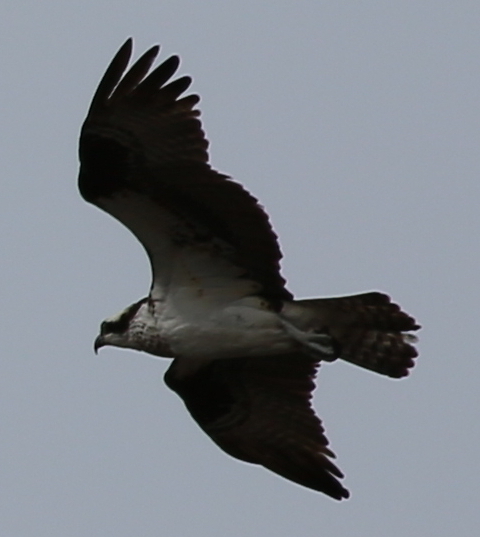 Circling above the pond and swooping between the trees, the osprey evoked a riot of squawks from nesting pairs of great blue herons (Ardea herodias) who had glided into the rookery two days earlier on March 21st. The osprey immediately and unceremoniously evicted the early great blue heron pair from the prime nest in this rookery, repeating what had occurred in 2012 and 2013. 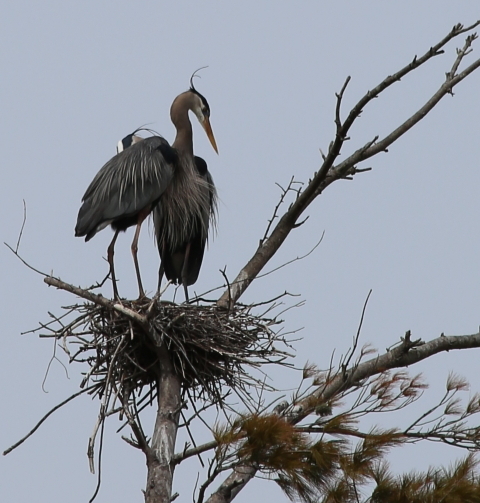 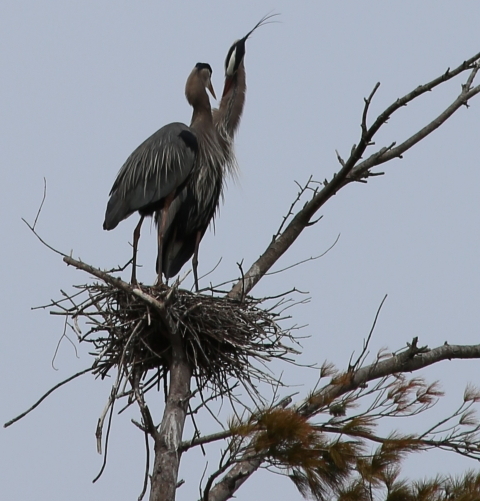 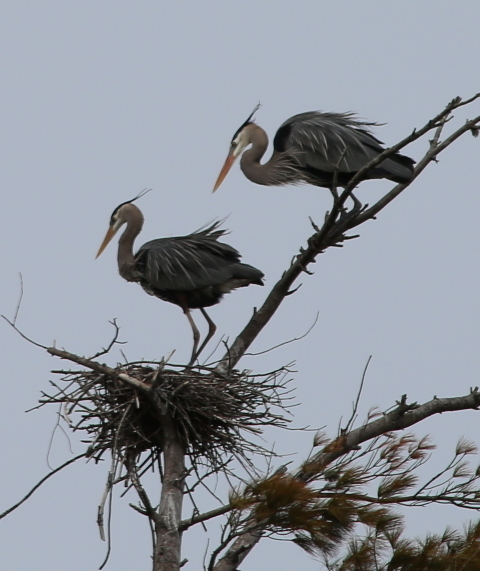 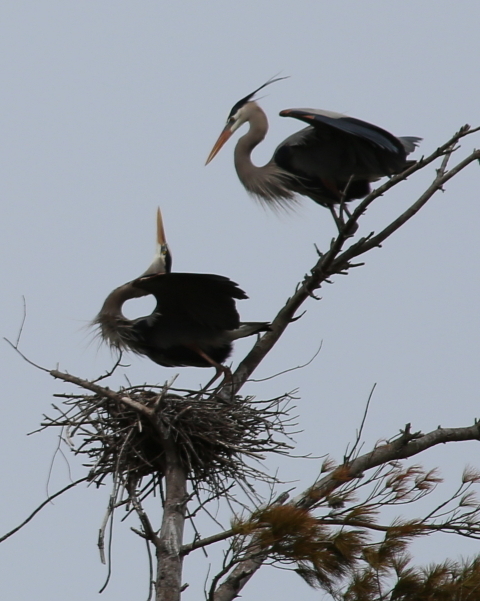 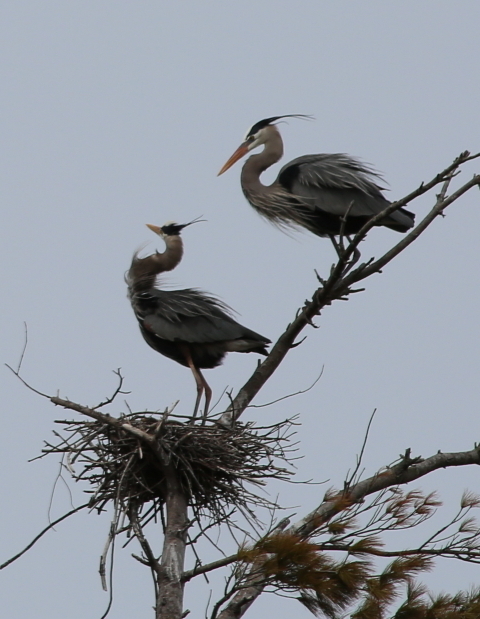 (See Aggressive Ospreys Evict Great Blue Heron Nesting Pair.) 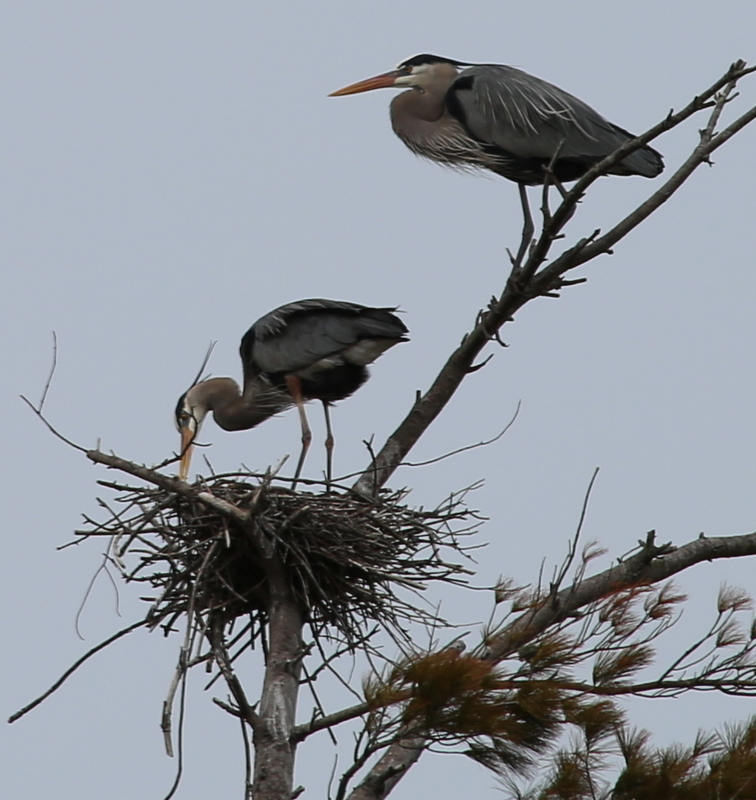 Perhaps fortunately this year, the eviction happened before egg laying had begun. The 2012 eviction took place in early May! You are currently browsing the Turtle Journal blog archives for March, 2014.